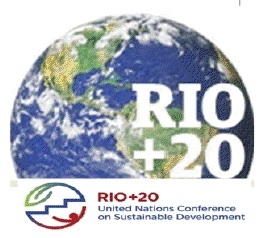 From 20 to 22 June 2012, world leaders will come together in Rio de Janeiro to agree on a document called “The Future We Want”. Twenty years after the Earthsummit that kick-started everything from Kyoto to biodiversity agreements, this major meeting should revitalize a stagnating multilateral cooperation on the big issues we globally face. But as the meeting approaches, it is increasingly becoming clear to even the mainstream civil society groups, that the official summit is not going to save the world from the unsustainable path it is currently on. Many people now go further and claim that this is a summit with zero ambition. Just recently, in New York, during the informal negotiations in the run up to the summit, EJOLT partner ANPED witnessed two weeks of attacks form different countries on the agreements made in Rio in 1992, from broad principles like the precautionary principle to basic human rights or even the words ‘social equity’. ANPED has been appointed by the UN to act as one of the three Organising Partners for the NGOs attending Rio+20 and has filed a request to hold an EJOLT side-event in the official event, but ANPED and EJOLT will be very active in the more promising conference held in parallel to the official conference: the People’s Summit for Social and Environmental Justice in defense of the commons. From the 15th to the 23rd of June, thousands of activist will gather here to work on real solutions to real problems, something that seems to be missing in the official process. While powerful countries in the official process have so far been able to keep any discussion on solutions to the fundamental drivers of unsustainable production and consumption and social and environmental injustices out of the process. In contrast, these discussions will be at the heart of the debates in the Peoples Summit. And the Peoples Summit is aiming to be more than a talk-shop for activists. Groups of civil society leaders are already undertaking work on a range of Peoples Sustainability Treaties that will soon come online for public comment and review and will then be discussed and finalized again in the Peoples Summit to present alternative solutions to our common problems. There will be direct action organized from within the Peoples Summit and the goal will be to involve as much stakeholders as possible from across society in a transparent and democratic decision making process. A People’s Permanent Assembly will become the main political forum of the Summit, organized to discuss the structural causes of the current crisis of civilization, without fragmenting it into specific crises. EJOLT will be very active in Rio in June. Next to EJOLT events in the official and the Peoples summit (and an internal EJOLT meeting) we will also have public events at the ISEE conference, held from 16 to 19 June. More detailed information on all the public events from EJOLT in Rio will follow shortly before the conference.